Bauhaus minimalism meets tasteful elegance. The Brazilian architect Isay Weinfeld designs houses and hotels in style. From one side of the globe to the other, Isay Weinfeld is one of the most sought-after architects of our contemporary era. An inimitable force in the realm of combining modern elegance with tropical vibrancy, Weinfeld thinks of a building as a complete artwork that needs to be not just functional but beautiful. Under his hand, lushly landscaped courtyards and long corridors open into wide vistas: a view of a pool or a dramatic indoor waterfall. The Brazilian architect’s works are characterized by glass and concrete, dark wood shades and soft color accents: all elements of a unique brand of distinguished restraint. 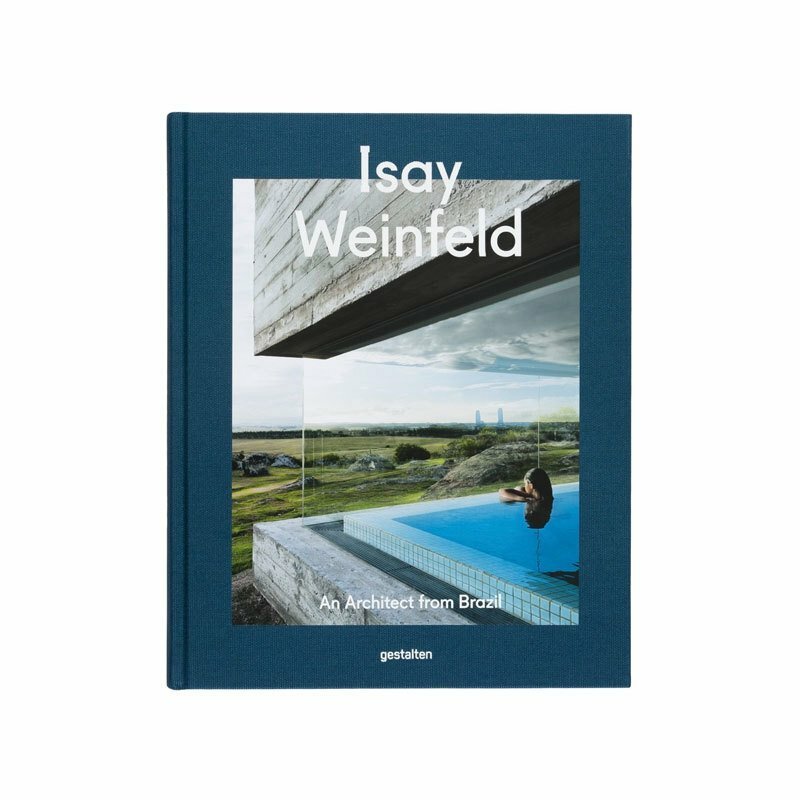 Isay Weinfeld is a volume dedicated to an architect who rarely discusses his own work. It features over 50 iconic projects: from the indoor gardens and bronze-covered private spaces of La Petite Afrique in Monte Carlo to the garden apartments of 360 in São Paulo that blend city landscape with natural surroundings to shelves and spaces of Alameda Lorena’s Livrarie da Vila bookshop. Previously unpublished photographs and detailed floorplans visually describe his work; and, discussions of unique projects offer insight into Weinfeld’s intricate blend of skills. Spotlighting Weinfeld’s most outstanding feature as a Brazilian visionary, this title highlights the creative communication between architect and commissioner.